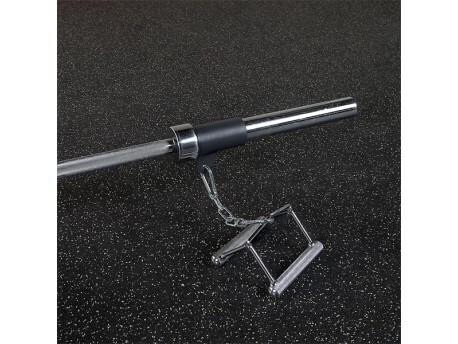 Ever want to use a cable machine attachment such as row handles or a tricep rope with your landmine? Now you can! This piece attaches to your olympic bar sleeve like any landmine handle. The other end of this piece has a carabiner to attach any cable machine attachment.